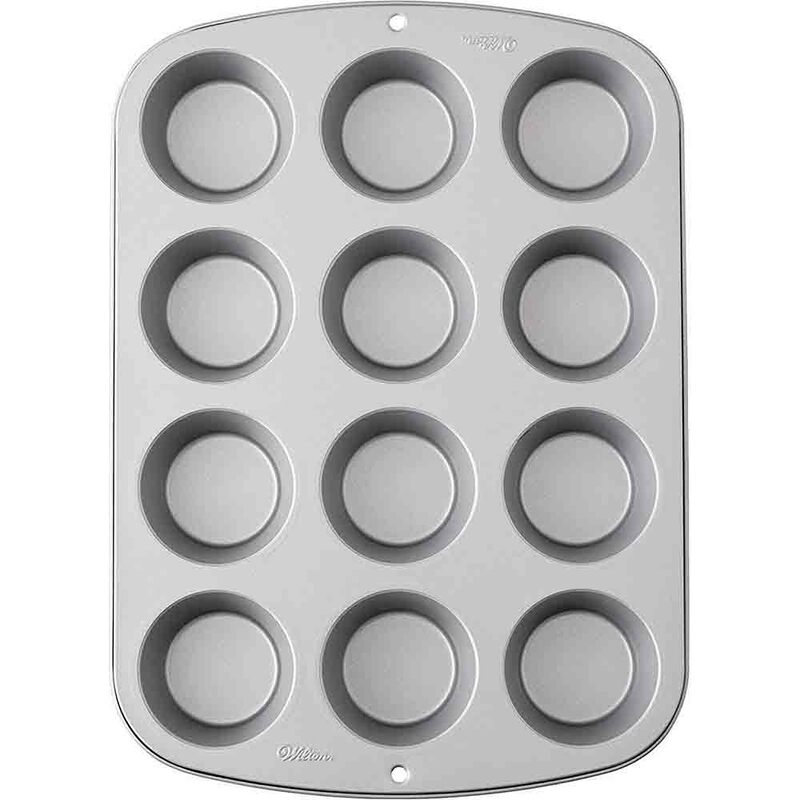 Brand: Wilton 2105-954 Units: 1 Dimensions: 10½" wide x 14½" long x 1½" deep Recipe Right® is constructed of heavy-gauge steel that provides an even-heating that baking experts prefer for perfectly-browned baked goods. The non-stick coating makes food release and clean-up a breeze! Each cavity measures 2 7/8" diameter at top, 2" diameter at the base, and 1 1/4" deep. 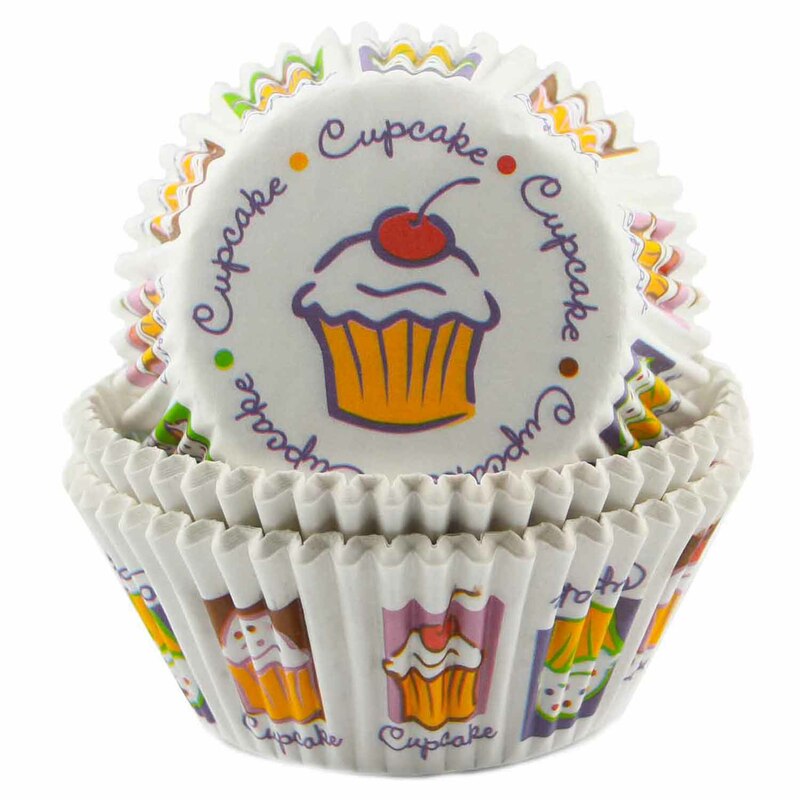 Fits standard cupcake liners. 5-year limited warranty from manufacturer. Recipe Right® is constructed of heavy-gauge steel that provides an even-heating that baking experts prefer for perfectly-browned baked goods. The non-stick coating makes food release and clean-up a breeze! Each cavity measures 2 7/8" diameter at top, 2" diameter at the base, and 1 1/4" deep. 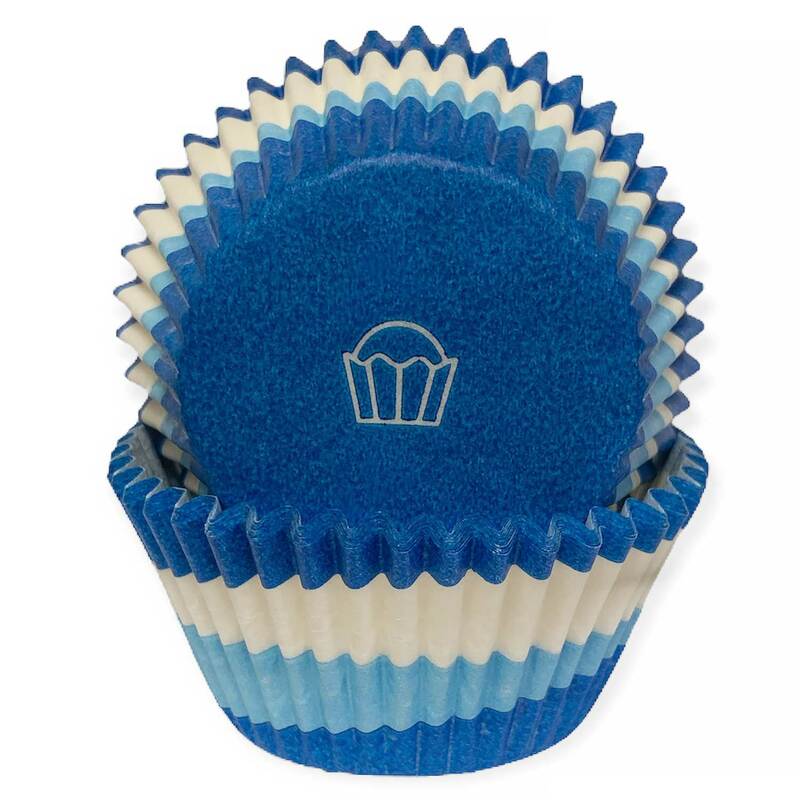 Fits standard cupcake liners. 5-year limited warranty from manufacturer.